Twitter. For one part of social media users, it`s just a platform where they can find interesting and important information about celebrities, politicians, sportsmen and find out what is happening in the world. But for the second part of users Twitter is the place where they can share their opinion about important problems, sell goods and products, chat with other people, make deals or even win a social media contest. And, of course, every person from this second part wants to get as many followers as possible. However, how can they do it if they don`t even know workable methods? Well, it`s not a problem, because right now we will show you simple recommendations that will help you to get more followers. Use them while working with Twitter, and you will see the result in a few days. 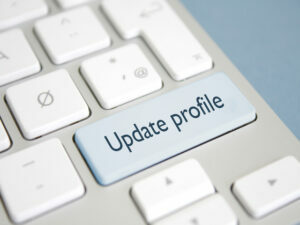 If you are looking for new followers, you must be ready to show them your profile. Make sure that everything is perfect: bio includes all information about your brand or your persona, profile photo is in good quality and all hashtags and keywords are on its places in bio. When user opens the profile and sees all this information, he is able to understand who you are and why he should follow you. If you are still dreaming about huge audience, you should start from your profile. You should understand that people who start following you on Twitter expect on regular tweets, and if you will add one post per day, you will lose all followers during one week or faster. With posting schedule, you will clearly understand when you should post new tweet and when you shouldn`t post anything. Analyze twitters followers and find the moment when followers show the highest activity. When you ad the post, they will see it on the top of their news feed, and you can easily get like, comment, repost or even a respond to the tweet. People hate Twitter because of it`s symbols limit. Yea, sometimes it`s hard to make a completed post with only 140 symbols. So, to say what you wanted to say, you should add some visual content. It could be an image, a video or even a GIF. The text could become a description for your visual content, so reader will get a completed post and understand your point of view or, if it is an advertising post, have all needed information about the product. Who said that the key for getting more followers on Twitter is only in posting your own tweets? You can easily diversify your timeline with someone else`s tweets. But don`t repost everything you want. First of all, pick up tweets from the topic that is interesting for you. Second of all, retweet something that will be enjoyable for your fans. For example, if you post content about sport cars, you should repost tweets of popular car brands with new exclusive information. In social media, people have already discussed all topics, so you won`t surprise anyone. However, your content can still be interesting for new users. All you need to do is to add your personal hashtag to all tweets that belong to the topic you are interested in. For example, it could be #LiteralurewithBill or #cookingwithSimon or anything else that will draw people`s attention. Final and, probably, the most important advice for you. If you really want to get followers on Twitter and want to get a massive engagement from them, you should post like a real person. Don`t use these routine tweet forms that other bloggers or celebrities use. They`ve already make it their own feature, so you need to find your own. Experiment with unusual phrases or hashtags, and one day you will find the perfect solution!